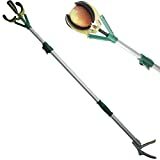 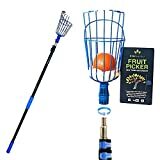 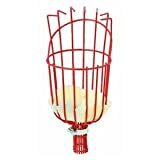 If you have fruit trees in your yard, don't settle for the low-hanging fruit, get the best ones higher up in the canopy when you snag them with this cool new Tree Fruit Picker. 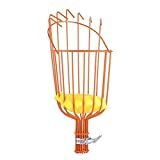 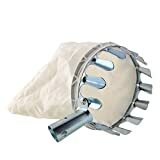 This handy tool helps you quickly harvest apples, pears, peaches, and other tree fruits without having to climb the tree or a ladder. 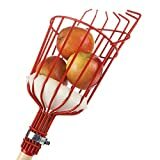 Just reach up into the tree with the long 8' wooden handle, place the basket around the fruit, and pull it down onto the padded foam cushion inside to keep them bruise and blemish free.